20% Humpday Special! Huge Thank You to all our Supporters! THANK YOU! Thread: 20% Humpday Special! Huge Thank You to all our Supporters! THANK YOU! Happy Humpday! 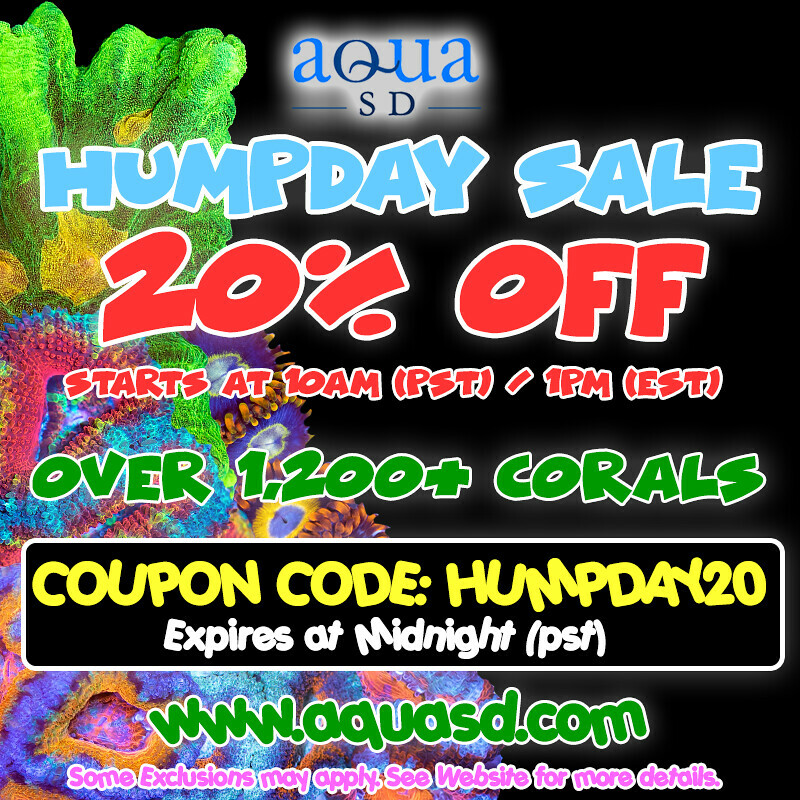 Use code: HUMPDAY20 for 20% off, today only Weds 1/30/19! Hey guys, sorry for the inconvenience from yesterday and because of it, we are going to be extending the coupon til Thurs 2/1/19 of midnight. Humpday Sale! Save 10% OFF Today! Huge Huge Update of New Corals! Beautiful Stuff, Check them out!